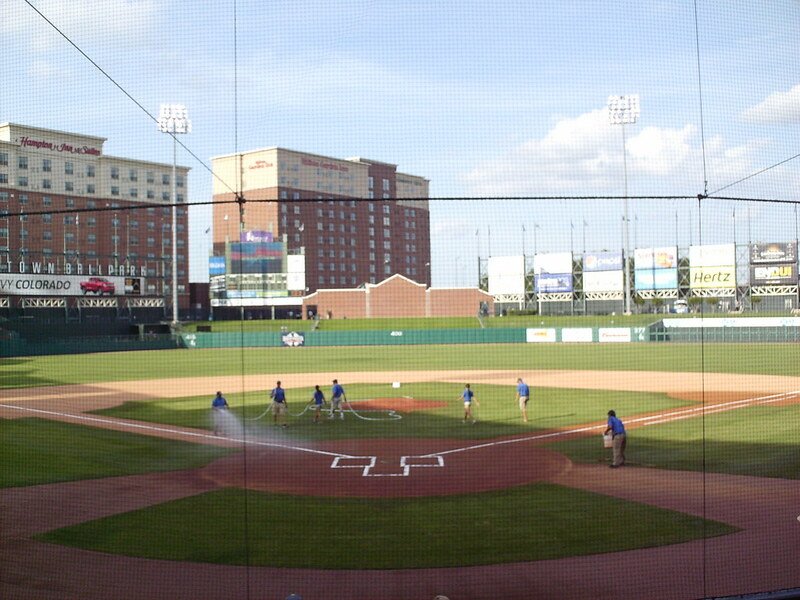 The view from behind home plate at Chickasaw Bricktown Ballpark. 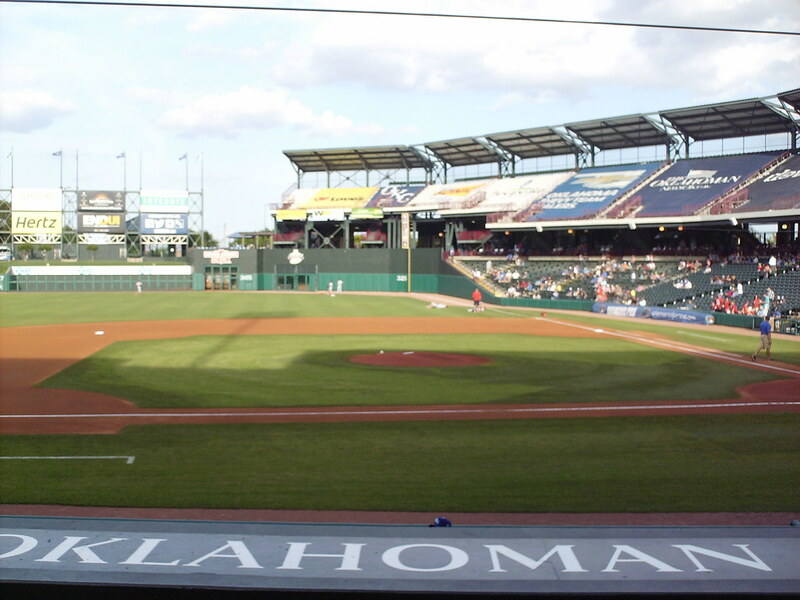 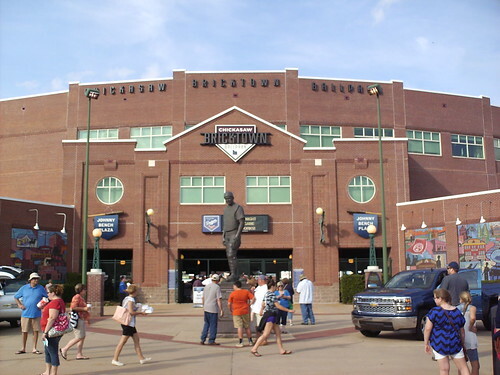 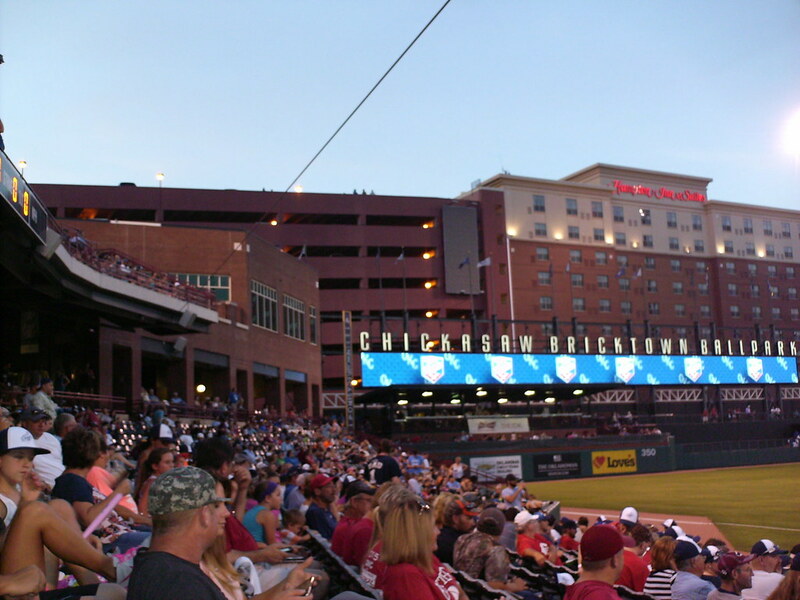 The grandstand at Bricktown Ballpark, as seen from center field. 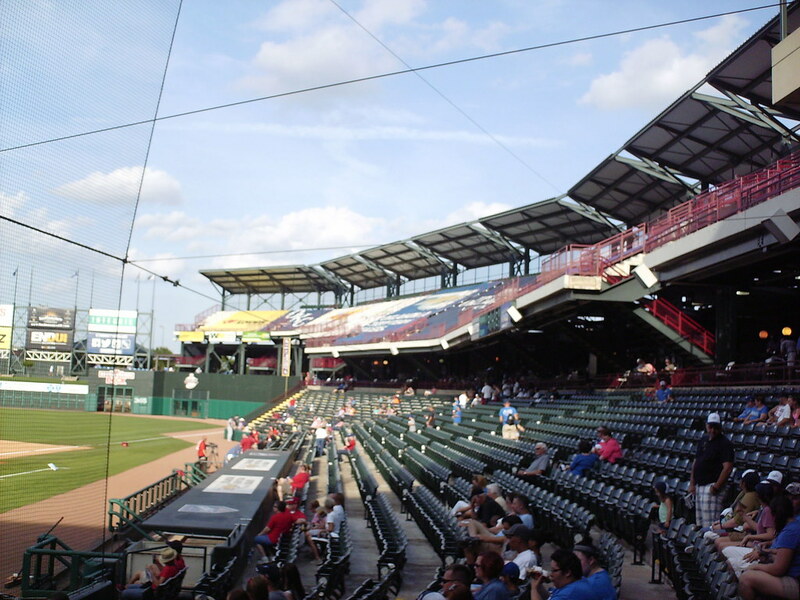 Second deck seating on the third base side of the park. 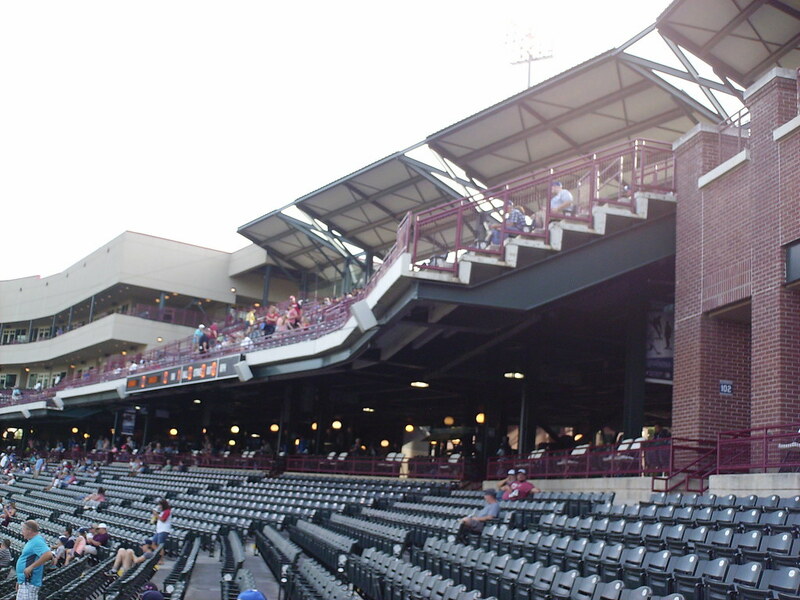 The upper deck features an angled roof and an auxiliary scoreboard on the facade. 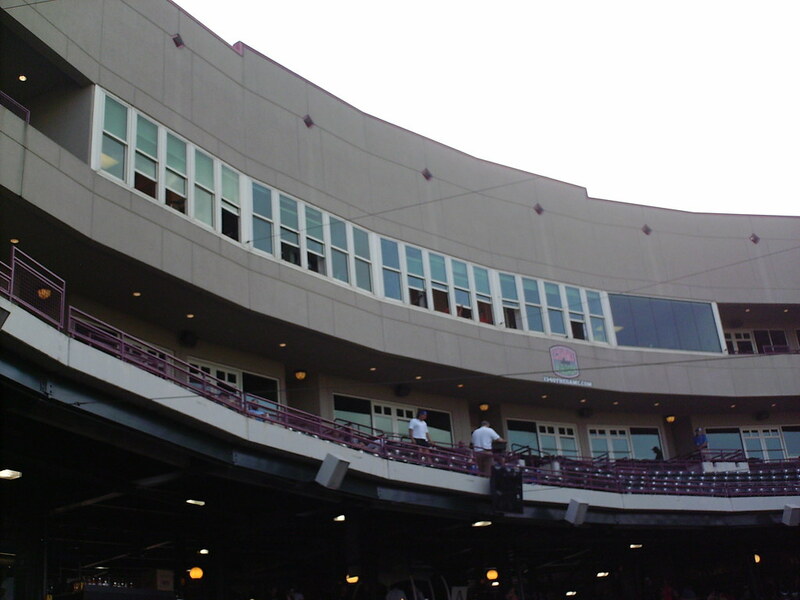 The upper deck on the first base side wraps around the right field foul pole, and seating is tarped off. 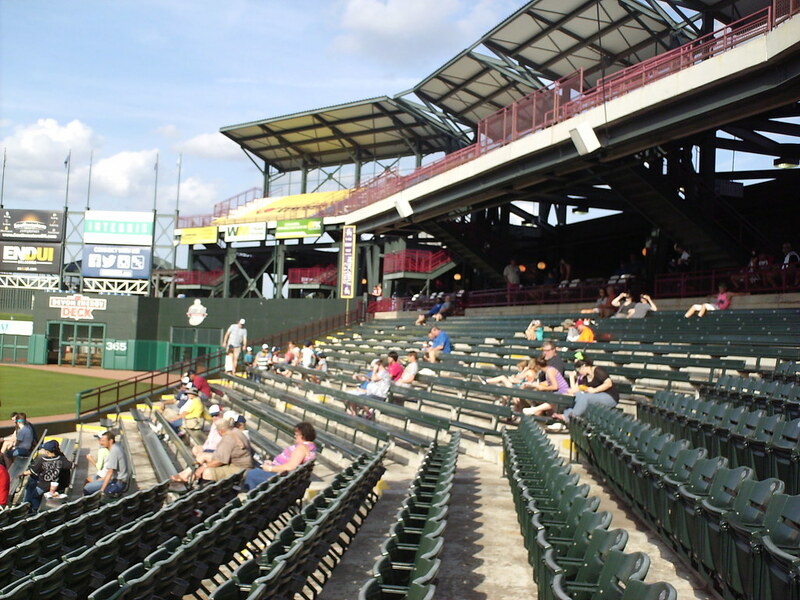 Bleacher seating in the right field corner of the main seating bowl. 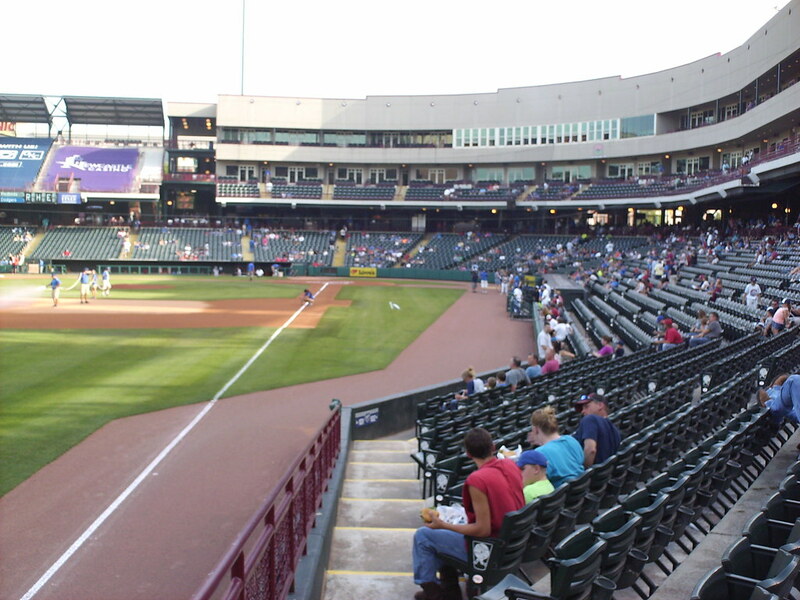 The seating bowl angles back to face home plate, leading to more foul territory on the infield than in the outfield. 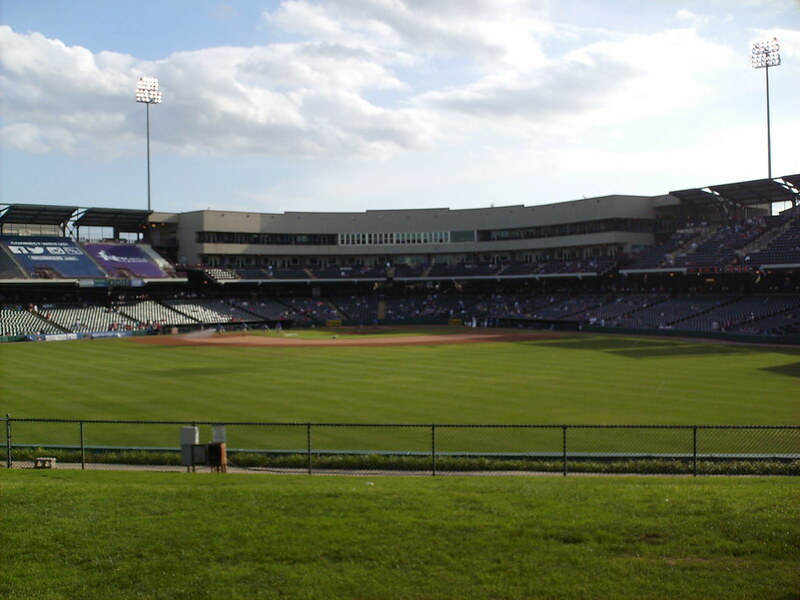 A large grass berm wraps around most of the outfield, with picnic tables running along the outfield concourse and a brick building acting as the batter's eye. 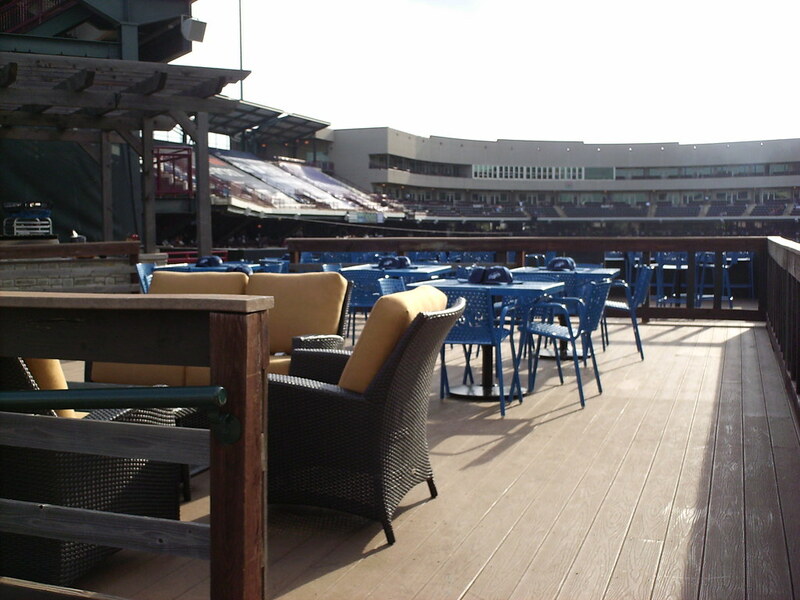 A wooden party deck overlooks the field from the right field corner. 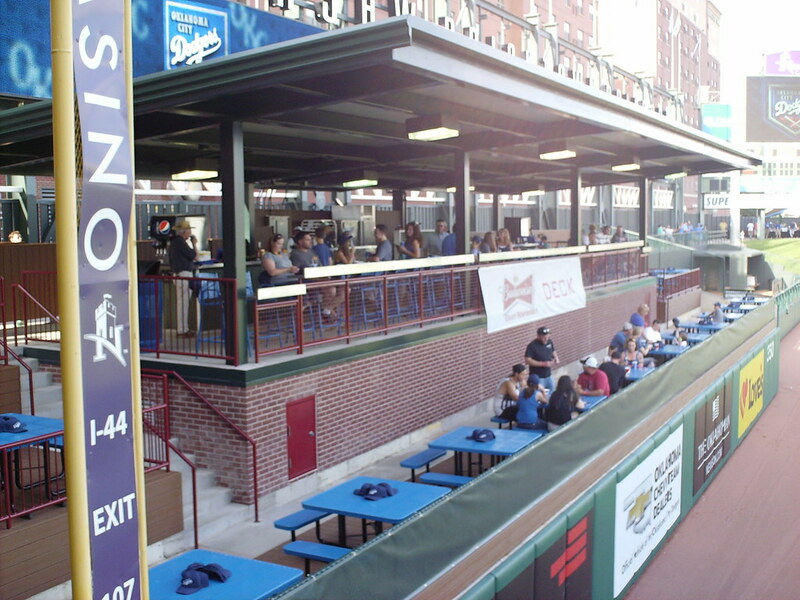 A multi-level bar and seating area sits next to the left field foul pole. 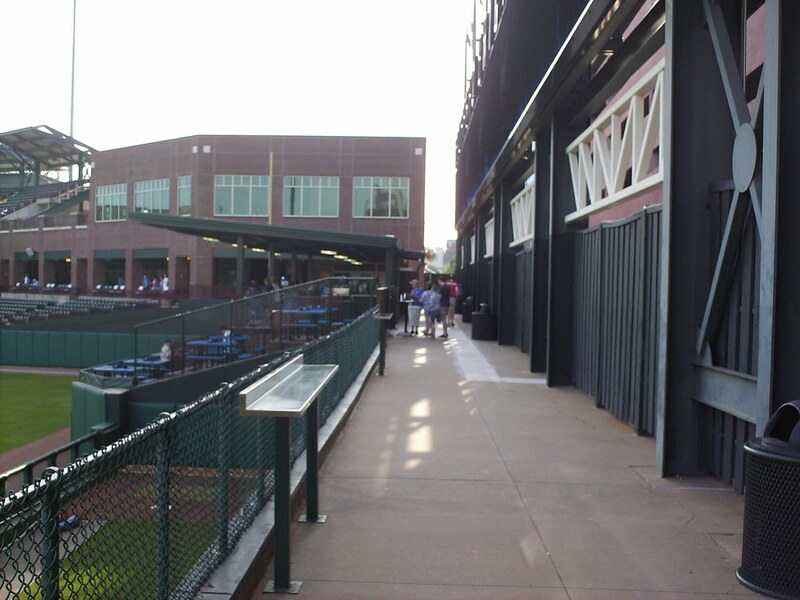 Drink rails run along the elevated outfield concourse as it passes above the bullpens in left field. 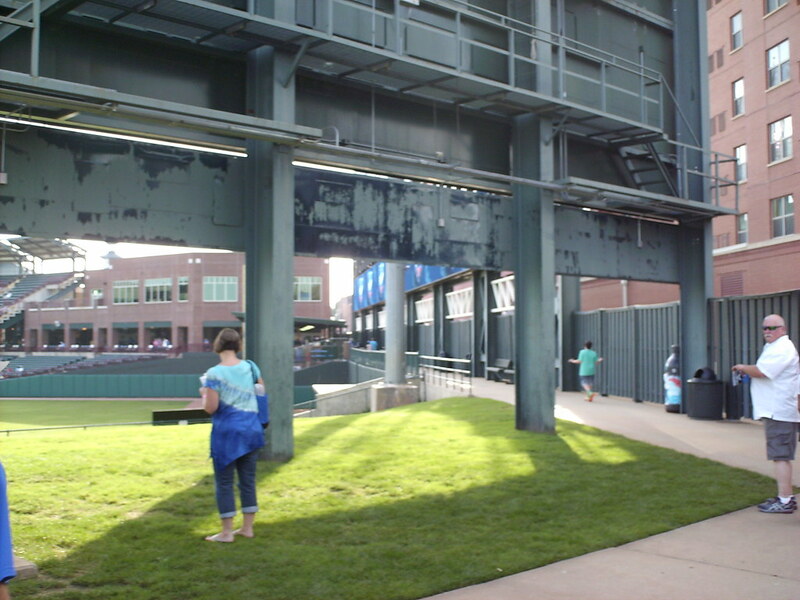 The outfield walkway passes underneath the scoreboard on the center field berm. 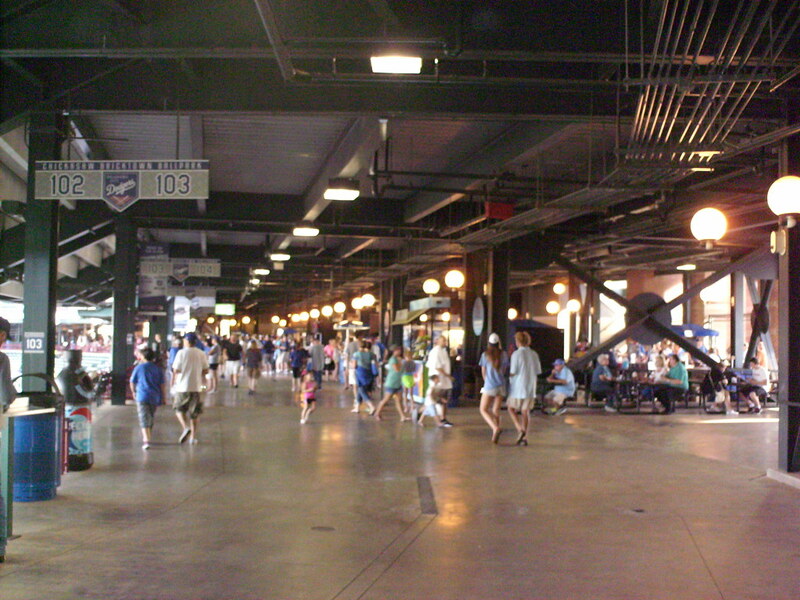 The wide main concourse at Bricktown Ballpark. 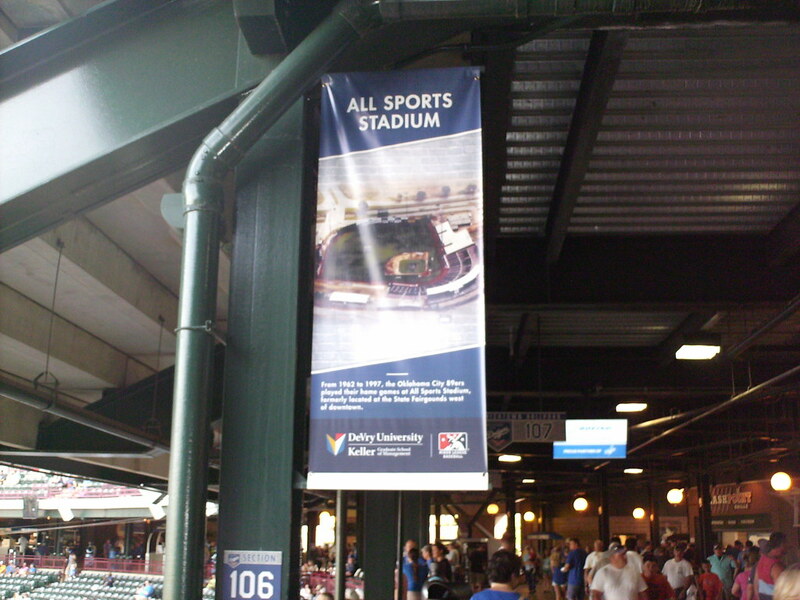 Banners along the concourse celebrate the history of baseball in Oklahoma City, including the team's former home of All Sports Stadium. 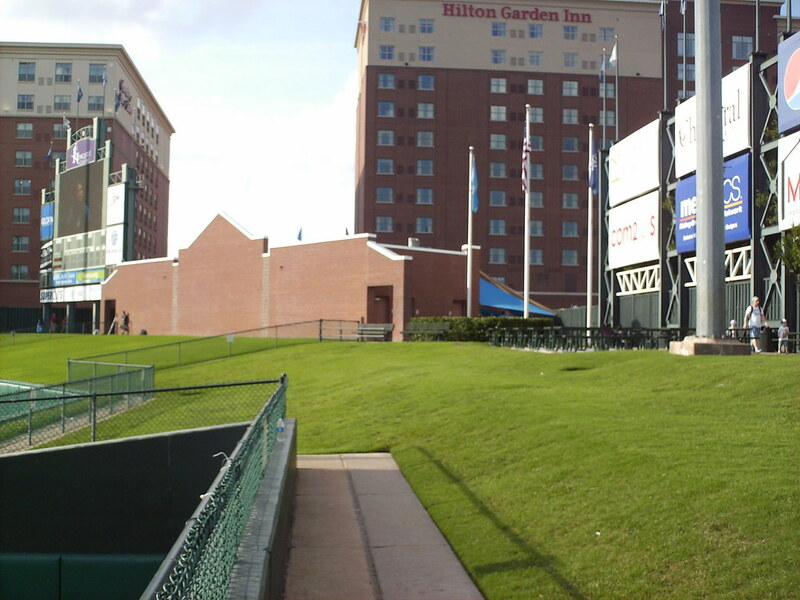 Fans outside the ballpark can watch the game from one of the hotels behind the outfield fence, or from atop the parking garage in the left field corner. 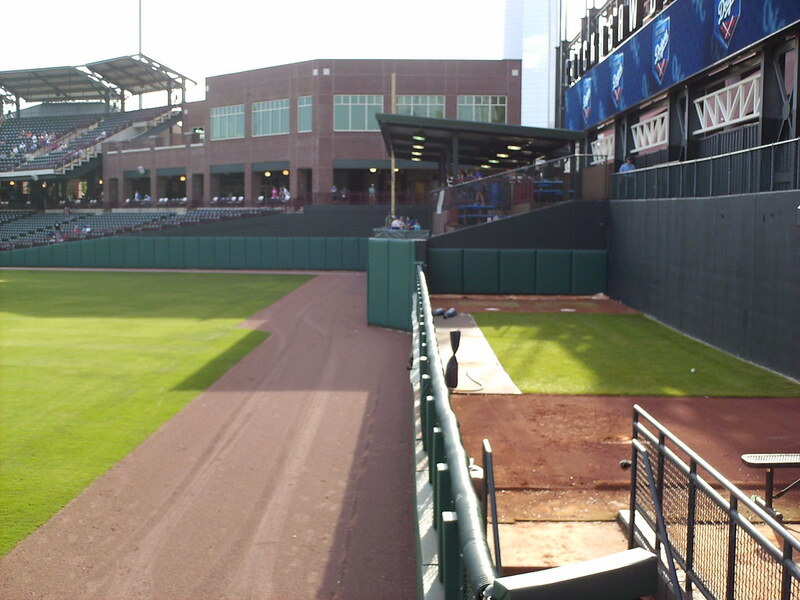 The tall outfield fence in right field. 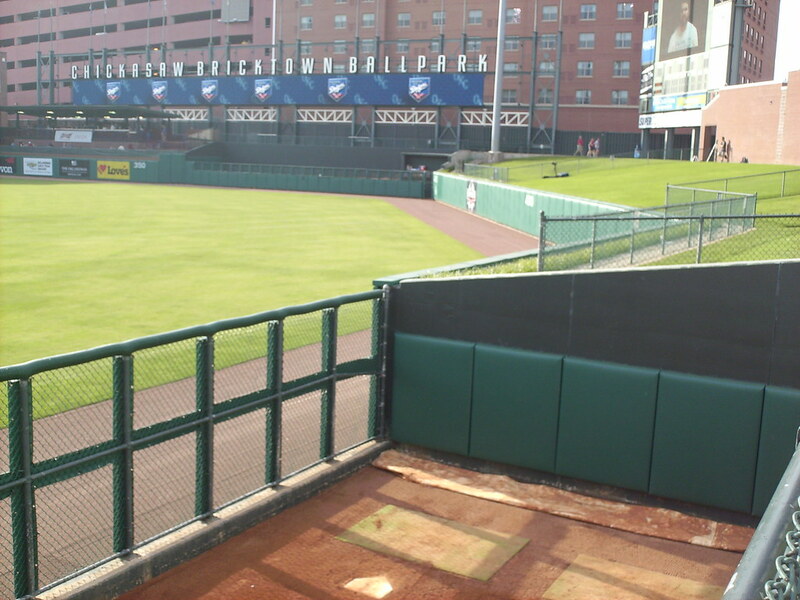 The outfield wall makes a sharp corner after the bullpen in right center field. 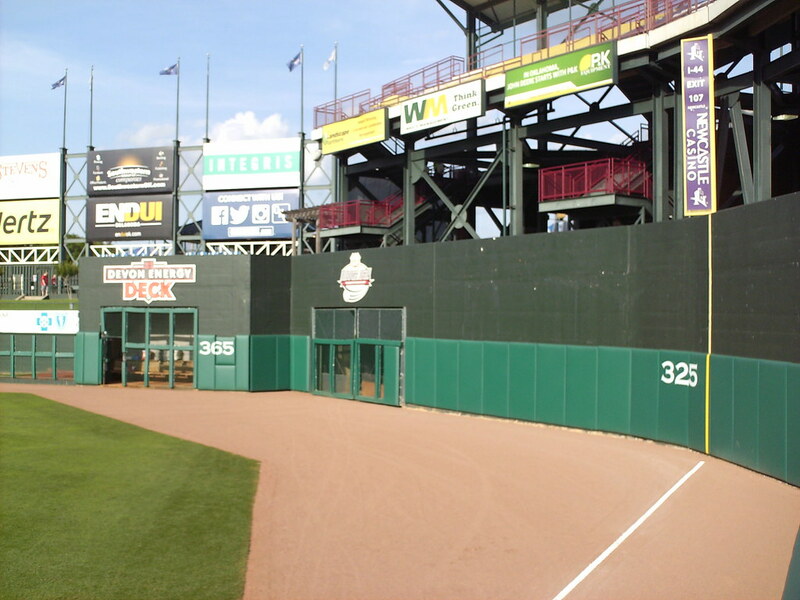 The left field party deck juts out into the field of play, creating a corner in the outfield fence. 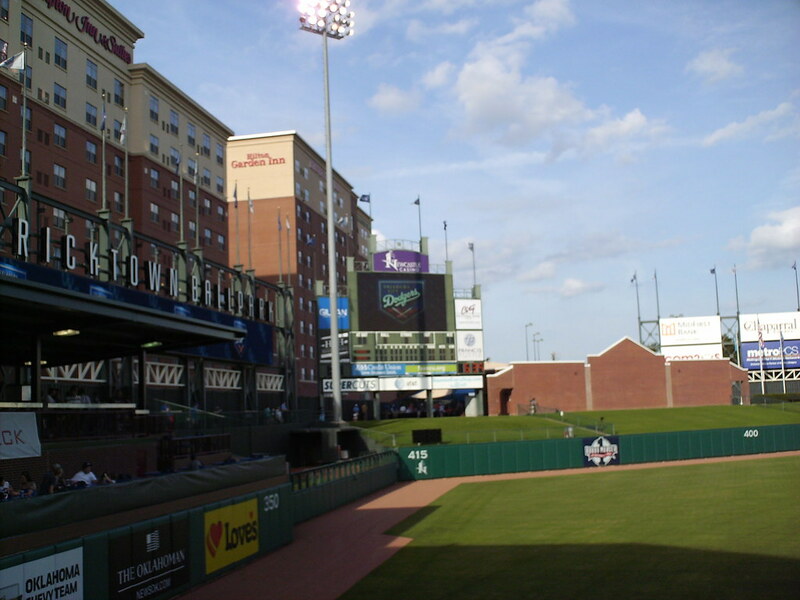 The scoreboard sits in front of the hotels in center field. 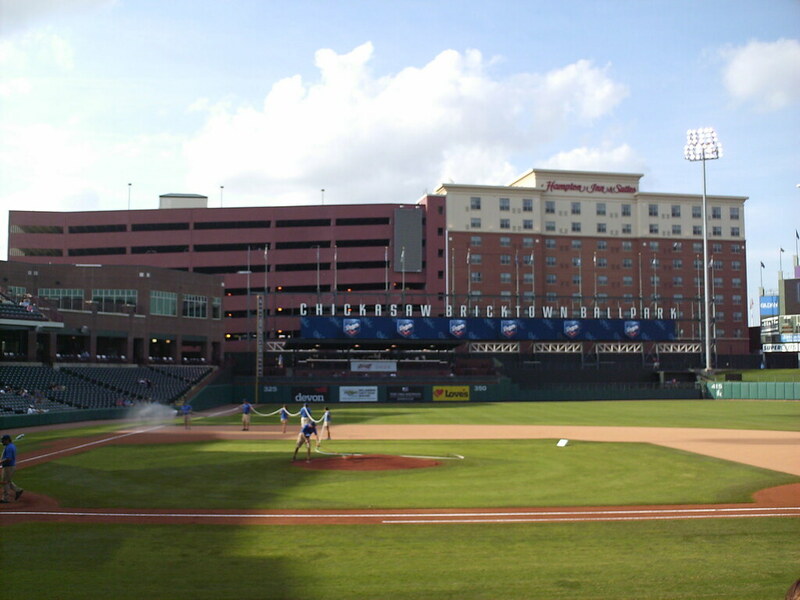 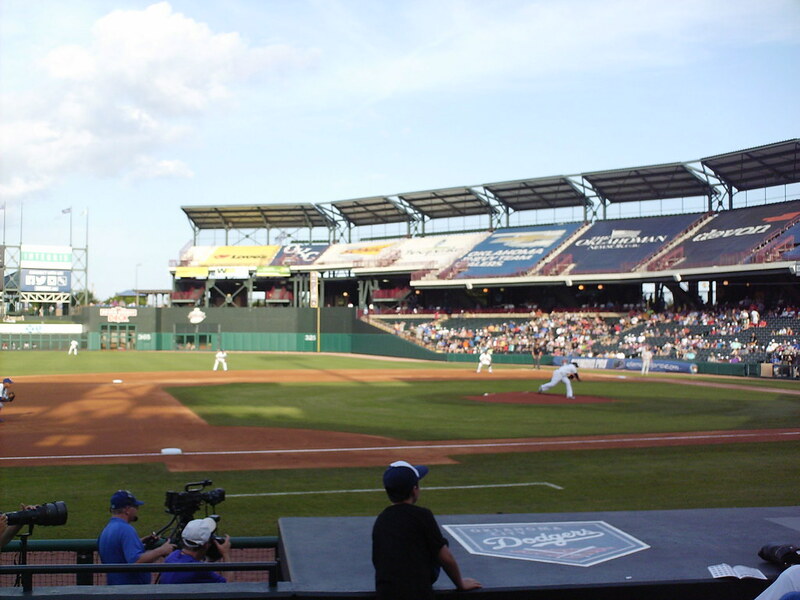 The Oklahoma City Dodgers on the field during a game at Chickasaw Bricktown Ballpark.